Hartford Connecticut is one of the oldest cities in the country, and for a time one of the wealthiest. With Charter bus rentals for your group outing in the Hartford or surrounding communities, you can leave the driving to us and enjoy all that Hartford has to offer. Mark Twain praised it as one of the most beautiful towns he visited, so much so he owned a home there. Rich with colonial history and buildings, Hartford was also home to author Harriet Beecher Stowe. Hartford is also home to Colt Firearms and the Colt family estate. 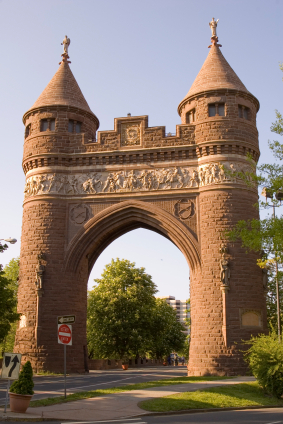 Although historically known as the insurance capital of the nation, Hartford was renowned for its manufacturing, with much advancement in precision manufacturing. Although the Hartford’s manufacturing days may be mostly over, it still enjoys a strong economy and thriving populous. Hartford is also home to the nation’s oldest public art museum and the oldest continuously running newspaper, the Hartford Courant. 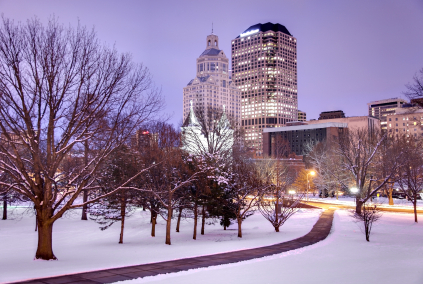 Although rich in history, Hartford is not lost in the past either, with an array of resorts and golf clubs, live theatre and opera, fine dining, shopping, outdoor concerts, and breweries to name a few. Charter Bus rentals are the perfect choice for a group adventure through and around Hartford. The Wadsworth Athenaeum, is the oldest public art museum in the United States, and was founded in 1842 by Daniel Wadsworth, one of the first important American patrons of the arts. Its collection boasts nearly 50,000 works of art, spanning over 5000 years and featuring collections from all over the world. The Harriet Beecher Stowe Center is dedicated to preserving and interpreting Stowe’s legacy. Her presence in 19th century Hartford was felt not only by the books that she wrote, but also by the moral stands that she took. Experience a piece of her life and surroundings by visiting the Harriet Beecher Stowe Center. The Museum of Connecticut History, located across the street from the state capitol building in Hartford, has free admission and a grand collection of Connecticut’s history, both military and industrial. Here you’ll find exhibits that trace Connecticut’s history from its foundation as one of the first 13 colonies, to its role in today’s technologically advanced world. Built in 1796, the Old State House is the original Connecticut Capitol building and one of the oldest state houses in the country. This National Historic Landmark showcases magnificently restored rooms and offers an audio tour for visitors. The Connecticut State Capital located downtown is also National Historic Landmark that opened in 1878. Tourists are drawn to its amazing structure made up of marble and topped with a gold dome. For a great outdoor experience, The Riverfront has a network of four beautiful parks and public recreational facilities along seven miles (11km) of shoreline. For an educational and literary tour of Hartford, you must see the Mark Twain House & Museum. The popular author lived from 1874-1891 during this time he wrote many famous books including The Adventures of Tom Sawyer and the Adventures of Huckleberry Finn. The historic Harriet Beecher Stowe House & Library was the home of the famous author of Uncle Tom’s Cabin. The Stowe's moved into this house in 1873, one year before Mark Twain moved in next door. The pristine Old Wethersfield is the state's largest historic Towne. With more than 100 homes dating back to before the Civil War, at the end of Main Street is the Wethersfield Cove which shoots off of the Connecticut River. This village features historic homes such as Silas Deane House, Joseph Webb House, Isaac Stevens House, and Historic Cove Warehouse. During your bus travel, be sure and plan ahead for great places to eat along your journey. Hartford is known for its incredible Italian food that stems from a large Italian population. Phenomenal Italian cuisine and pizza can be found on nearly every street corner, and you will not want to leave the city until you’ve tried at least a few different restaurants. Max Downtown never disappoints, consistently ranked as one of the city's best restaurants. Black EyedSally's is an award-winning BBQ and Cajun Restaurant. It also plays live music from many well-known and local blues' artists. One of the best breakfast and brunch spots Mo’s Midtown serves big portions and dishes in a relaxed atmosphere. With its large Italian population, Hartford also features a number of phenomenal Italian restaurants such as First and Last Tavern, Luna Pizza and Roma's. 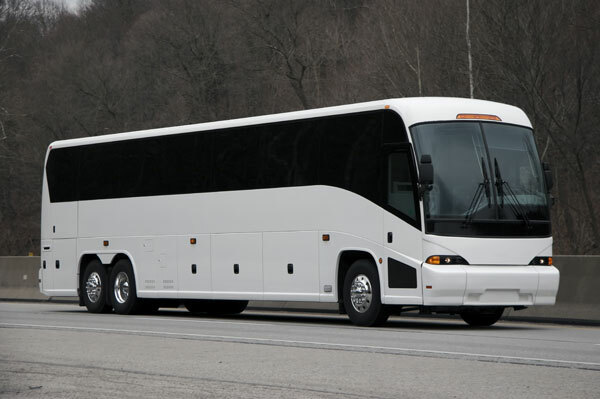 When you choose charter bus rental services, you can make arrangements to stop along the way! The Tony award winning theatre, Hartford Stage in Downtown regularly stages shows from traveling Broadway plays. It produces six major productions annually and one to two summer productions each year. Bushnell Center for the Performing Arts is the state's premier performing arts theatre and the home of the Hartford Symphony Orchestra and Connecticut Opera. Voted the best rock club and best place to see live music for the past five years by the Hartford Advocate, Webster Theatre is definitely the must-go place for those who love the nightlife. Hartford is easily accessible via Interstate I-84 as well as I-95. You can also use Hwy 7 and Hwy 44 as backups in case traffic ever gets too dense. I-90 is also close by and just a hop skip and a jump from Hartford. The next time you want to get the group together and head out for an adventure, check into charter bus rentals. You’ll never have to worry about who’s late or who’s lost, because with charter bus rentals, you can all enjoy the journey as well as the destination! If you were searching for charter bus rentals in Hartford, you've come to the right place!